See the best Buenos Aires has to offer in 24 hours during this whirlwind tour. Start with a private airport or port transfer, then set off to see all the highlights of the city. 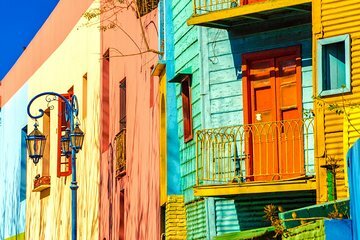 Tour the most important landmarks and explore the city's eclectic neighborhoods, then enjoy a traditional Argentine dinner and a mesmerizing tango show at Cafe los Angelitos. Spend the night in a centrally located boutique hotel. You'll leave with a comprehensive snapshot of life in the cosmopolitan Argentine capital.